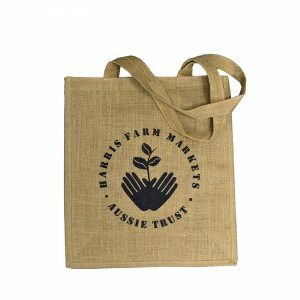 To maximise the profits of your grocery store, be sure to contact Albury Enviro Bags about our large range of reusable grocery bags. All of our bags can be applied with an external barcode or product label, meaning your range of reusable grocery bags could be the ultimate upsell. 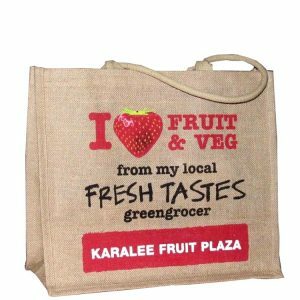 A promotional grocery bag can boost sales revenue, create loyalty amongst customers, and promote your grocery store to a wider audience. 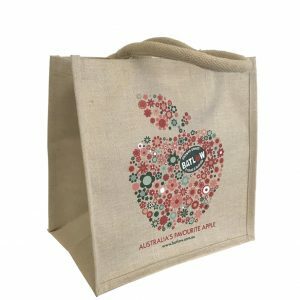 While many corporations choose to give reusable shopping bags away as promotional goods, having personalised reusable bags available at your counter can be the perfect way to gain a little extra profit. Why choose Albury Enviro Bags for your grocery bags? When putting your name or logo onto anything, it’s vital it screams quality. And with core values that demand a commitment to service, quality is exactly what you get when you choose Albury Enviro Bags. Albury Enviro Bags has set new standards for the promotional goods industry. We have a clear focus on providing product made from natural fibres such as jute and cotton, and are endorsed by the Food and Agriculture Organisation (FAO), allowing us to carry their Natural Fibres 2009 logo. What grocery bag options are available? 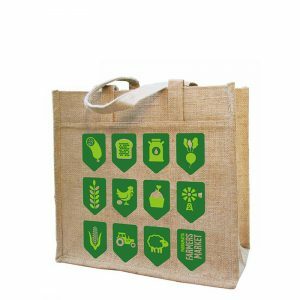 Whether you’re after a quality budget grocery bag for your customers or heavy duty shopping bag with a base, Albury Enviro Bags can help you find the perfect bag. All of our bags can be customised to suit your requirements, with our non woven polypropylene bags offering an almost unlimited choice of colours and designs. If it’s natural fibres you prefer, check out our wide range of natural fibre or recycled grocery bags which not only offer practicality, but style too. 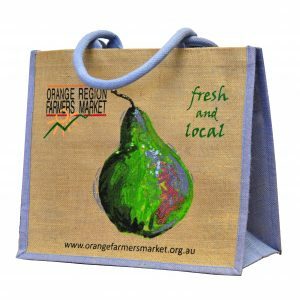 To order grocery bags with Albury Enviro Bags, browse our extensive range to see what’s on offer. Don’t forget that almost all of our bags can be customised to whatever requirements you have, so whether you want a fabric, handle change or gusset change, it’s completely doable with Albury Enviro Bags. Simply enquire online now and we’ll get back to you with a competitive quote.